06/11/16 The Sirens of New Orleans participated in the Wetlands Work Day with the Oyster Shell Recycling Program. The Sirens bagged 20.5 tons of oyster shells setting a new record! 06/18/16 The Sirens of New Orleans participated and performed in the Pride Parade. 06/25/16 The Sirens of New Orleans volunteered at APEX Youth Center. 07/30/16 The Sirens of New Orleans paraded in the Festigals Stiletto Stroll and performed at the after party. We also raised $1625 for NOFJC!!!! 08/14/16 The Sirens volunteered and participated in the Organ Grinders & NOMC&AF Blooddrive. 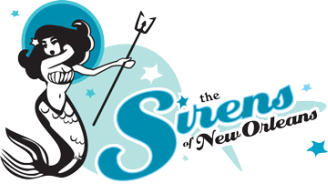 09/04/16 The Sirens of New Orleans will be parading in the Southern Decadence Parade. 09/24/16 The Sirens of New Orleans will be participating in the NO/AIDS Walk. 09/24/16 The Sirens of New Orleans will be volunteering at NOLA on Tap. 09/30/16 The Sirens of New Orleans will be volunteering at Audubon's Scales and Ales. 10/05/16 The Sirens of New Orleans performed for Women with Wings at Hotel Storyville. 10/20/16 The Sirens of New Orleans participated in the Yelp Bloody Mary Bash. 10/21/16 The Sirens of New Orleans participated at the New Orleans Family Justice Center Gala. 10/22/16 The Sirens of New Orleans paraded with the Krewe of Boo. 11/12/16 Members of The Sirens of New Orleans participated in the Team Gleason Kickball Tournament. 11/19/16 The Sirens of New Orleans volunteered at APEX Youth Center for Thanksgiving Potluck. 12/03/16 The Sirens of New Orleans participated in Girls on the Run. 12/11/16 The Sirens of New Orleans participated in the Louisiana Modified Dolls Holiday Market.